Q1] Why are supposedly easy to open packages always so difficult to open? I am scratching my head trying to think of easy open packages that are difficult to open. Oh hold on, I know! So I love mayonnaise…I think I go through too much. I am sure I would lose weight if I stopped buying it. I can never open the sachets of mayonnaise that they sometimes have in cafes or pubs. Clearly Weight Watchers are trying to help us by smearing grease on the outside of sachets to help us achieve our weight loss goals. Q2] Time to fess up … what music from your teenage years do you turn on and still dance to? Oh loads of it…Kylie, Banarama… I used to do high kicks and cartwheels to this song. Q3] Were you a prankster or a darer? Rarely, because when I have, it goes terribly wrong. At high school, my friend dared me to throw a sweet at out geography teacher who was in a foul mood with the class and had us all working in silence. I threw the sweet and it hit him right on the nose. DETENTION! It is always the way…I always get caught! Q4] What is the weirdest place you have ever been…? My mum gave us a tour of the endoscopy unit at the hospital where she worked. It was really odd seeing all the different shaped bed frames for patients to be positioned in whilst cameras were being inserted in various locations. We were interrogated at Detroit airport after a misunderstanding a few years ago – that was scary! We were not exactly given a warm welcome. We went on a tour of Cape Coast Castle in Ghana and we were down in the dungeons where countless thousands of men and women would have been kept in depraved conditions before being shipped to the Americas. Being within the innards of an enormous printing press (producing 100,000 newspapers per hour) with the engineers was quite cool. I have been inside a few times and felt quite awed by it. Weird band…hmm. I listened to a lot of music you know when I worked for the record company. There was one band that had a weird name: “Gorky’s Zygotic Mynci”. But I have to tell you they were very popular. Q6] What was the craziest dare you ever took on? Crazy dare? I don’t do too much crazy stuff. And when I do something bizarre it is usually a spur of the moment thing that came into my head because I had an audience. When I am on stage, I have a huge rush of adrenaline. I was involved in a comedy fashion show…I had a sporty outfit and also an outfit that was like a French maid, it was not immodest or revealing – so don’t get any ideas! We all had comedy costumes on. I had bloomers on underneath my frilly skirt. I danced my way down the cat walk and then when I reached the end, turned around bent over, flicked my skirt up and showed everyone the hilarious bloomers I was wearing. There is a video out there I am sure someone will one day ruin me with, of moi shaking my touche at the audience. If I think something is weird, I normally switch it off…unless it is funny weird. I love a lot of classic British comedy. I think it’s great, but I know some of my friends think it’s weird. I watched this film for the first time a couple of months ago, I loved it. Q8] What is the weirdest meal you have ever eaten for dinner? Pretty much anything my Dad has cooked…sorry I should not say bad things about my pater. He is a very wonderful man. But his taste buds are nuts. My face! Thank goodness I am a vegetarian…it has often rescued me from Pappa’s cooking. I cannot comprehend some of the dishes he conjures up. Q9] Time to fess up again, what was the weirdest or craziest fashion craze you were in to as a kid? I don’t think I knew much about fashion. I wore shorts and T-shirts (or dungarees when it was cold) and climbed trees and played football. I like practical sensible clothes and beautiful dresses. I like to blend in with the crowd, I am not someone who likes to wear the latest fashion. I did have a few bizarre pairs of sunglasses though. My favourite pair where blue and shaped like a cat. Here is me in another pair of my beloved sunglasses and my leather jacket – I am sure I thought I was cool! Q10] What words did you make up and claim as your own as a kid? YAHOO!….someone stole that from me, I am quite sure, they even stole my exclamation mark! It is all over my books from childhood way way before the internet ever existed. Q11] In what game is the word snap used? I used to cheat at this game all the time…totally dependant on my opponent not concentrating. PQ12] Have you ever gotten completely and utterly lost? Explain please. Oh we had a hilarious day out in Mallorca. We used to stay in a pretty resort named Cala Bona. Dad hired a car and we decided we would head to another part of the island. We took a few wrong turns while trying to follow a road map. We ended up trying to get the car up an incredibly steep windy track. The car could not make it. We all had to get out and tried to push so that Dad could get the hire car up the hill. There was a stunning villa at the top. I asked the two men who were outside “Donde esta…?” They took me to towards the brow of the hill and pointed to an area that was clearly miles away. The car ended up coming off the road when we were on the way down the hill. There were a troop of soldiers passing at that point and together they lifted the hire car back up onto the road so we could carry on our journey. I don’t think we reached the area we were trying to get to, but my goodness we had a fun day together. Q13] Did you have a favourite piece of clothing as a kid or even as an adult? Yes, I have had lots of favourites over the years. At the age of five or six, I used to wear red wellington boots and a green woolly bobble hat. One day, when I went to work with my Dad and I lost my bobble hat and was very tearful about it. Dad allowed me to join him on the Friday evening when he visited any customers who had not been home that week to collect any payments they owed him. I asked every customer if they had seen my green bobble hat. Imagine my relief when one lady said she had found it in her garden and had recognized it immediately and had kept it safe until the window-cleaner came again. Q14] Do you have any strange family traditions? I don’t think we did anything too strange. We did have a lot of fun though. I had a friend who told me their family had a family sock drawer. They all shared socks. 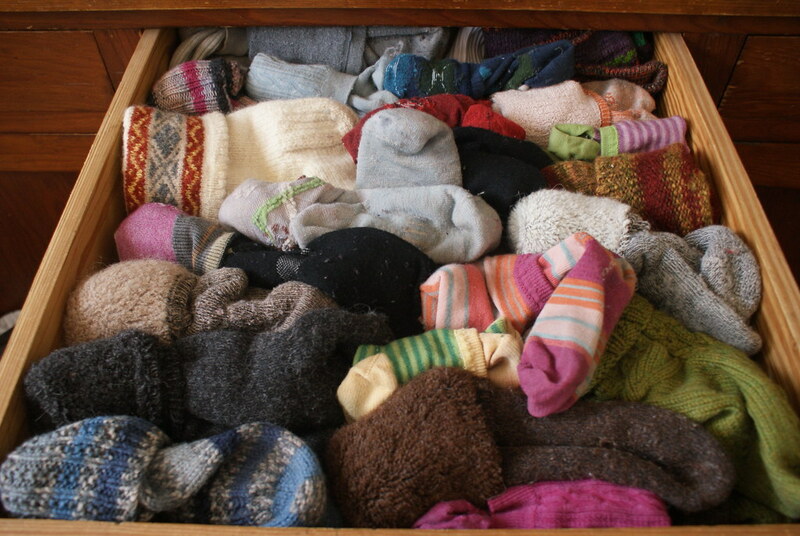 She thought that was absolutely normal until she realized she did not know any other families who had a communal sock drawer and all wore the same socks. PQ15] Have you ever taken part in some kind of weird adventure? A weird adventure? I guess our holiday to Sweden was a bit like that. It turned out to be the holiday of a life-time…but we had no idea it would turn out that way. Ten of us arrived at the airport to meet Jan who had visited England about six months earlier and met a couple of my friends and invited them to visit Sweden. It ended up a group holiday. When we arrived in Sweden, Jan had no idea where we would be staying. We could not believe it and we thought perhaps he was a bit absent minded and disorganised not to have mentioned he had not yet worked out where we were going to stay. But he started to ring friends and very shortly the ten of us were spread out in three different apartments. His friends had moved kindly moved out of their own homes for us. After a couple of nights in the city, he hired a mini-bus and drove the ten of us into the country-side. He surprised us again and again. He kept on pretending we were going to do something to help the managers of the luxury chalets who had let us stay in chalets for free….like at midnight he told us we were going to go and empty the bins. He told us to all get dressed in our ski wear. We all traipsed outside and stood in the middle of the snow waiting for Jan who had disappeared when suddenly a mighty roar erupted and bright lights. 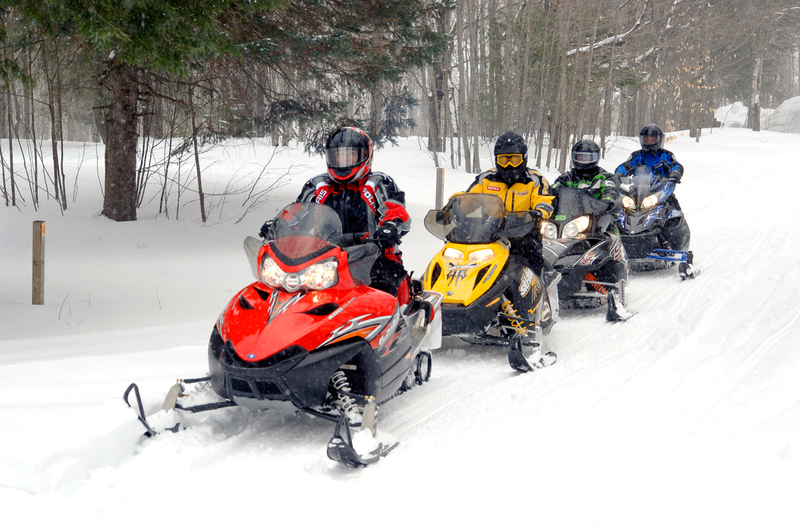 Jan’s friends appeared on their snow mobiles and gave us two hours of the most fun I have ever had in the snow. The mountain was empty of tourists at night, so they rode all over. I was screaming with excitement while clinging to the driver with all my might. 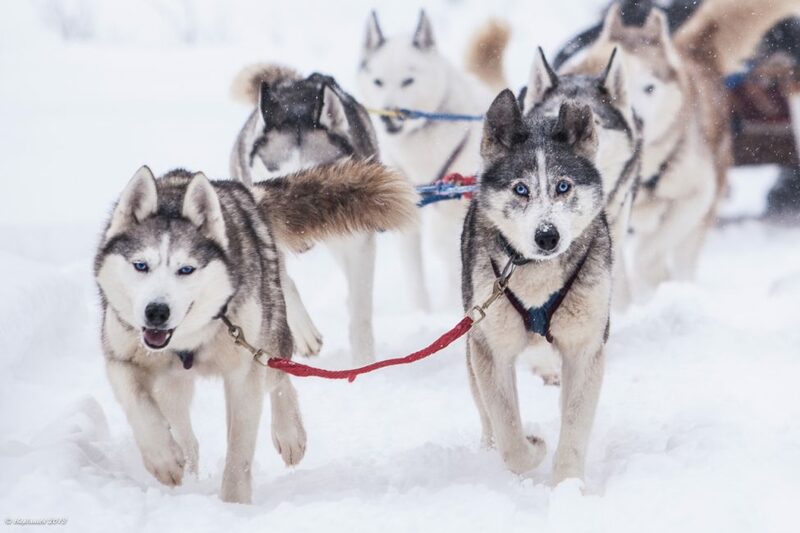 We also went go-carting on an icy lake, we went husky sledging up a mountain and warmed our cockles in a hotel at the top which had no electricity, but a huge open fire. One night they took us to go and find reindeer and we found them alright. At least one hundred reindeer in the forest. We were delighted. That holiday was amazing. Our friends gave us the time of our lives. It was a complete adventure to all of us, especially because all we did was book our flights and arrive, our friend Jan arranged everything for us. Q16] When you were growing up and living with your parents what was the one thing you were always getting told off for? It was normally my sister Mandy who was in trouble. 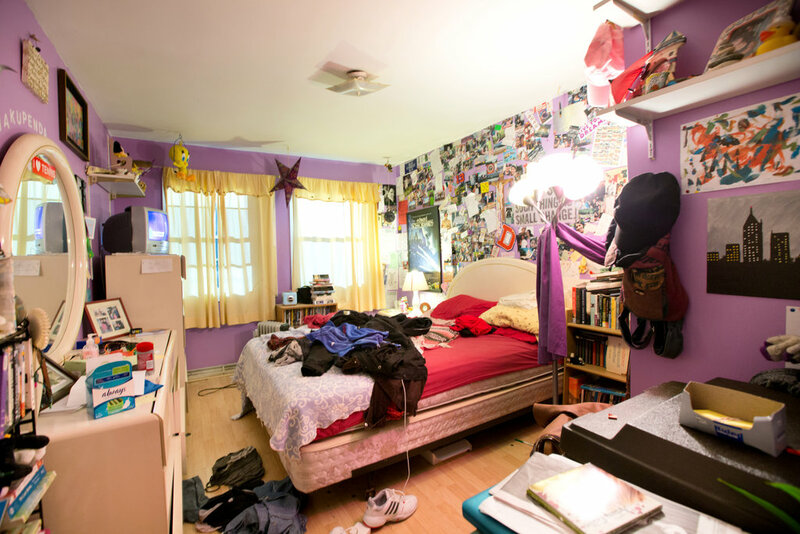 I went through a stage where Mum found it hard to motivate me to tidy my room. But once my pocket money was withheld, I found a new found enthusiasm for cleaning. Then when I was a teenager and was listening to music constantly, my mum went on and on at me because she did not think it was healthy, especially the lyrics of the songs and the attitude of the musicians I was becoming devoted to. I think when I started working for the record company I saw with my own eyes that she was right. Q17] What is the ‘worst haircut’ you have ever had? I tired to cut my fringe once. Uh oh! I used to have my hair tied back in a pony tail or I would wear a head band, so the tufty parts of my fringe would stick out. I looked so silly. I have never wanted a fringe since because it was so hard to grow it out. Q18] Can you remember who your worst school teacher was? Right, I am not saying this because I disliked her, but I had the same French teacher for three years at high school. She insisted on only speaking to us in French…which was a mistake, because none of us could understand her. She would rattle away in French and then disappear out of the classroom to go and do photocopying or some other task. While she was away, we would all ask each other if anyone had any idea what she had said and what we were supposed to be doing. She would come back to the classroom and be disgusted that none of us had done the work she had asked us to. It went on like that for three years. When she was trying to get us to string together a sentence in French, she kept on prompting us and telling us the word we were looking for and then she would say we were wonderful. Q19] We all have one, but who is yours? The crazy relative? Crazy relative?…My family are interesting…not necessarily crazy. Unless you count those who entered politics as a career! Maybe my brother-in-law’s Mum (Mandy’s husband’s mum)…the one who caused a stampede on a hovercraft. Q21] What completely safe animal are you TOTALLY afraid of?? Which is strange because I have nursed people until their last breath and then had to prepare their bodies for the undertakers, but if I see a dead animal, I completely have a melt-down of uselessness. I came home one day and found a brace of pheasants hung up outside my front door. I was aghast and horrified. I thought some wicked person was playing a horrid trick on me. I mean you couldn’t really do something worse to a vegetarian! However the Lord of the estate told me that it was a thank you from people who roamed the local countryside on shoots and had wanddered onto the estate. They apparently give some of the pheasants they have shot as a way of saying thank you for putting up with the noise of the shooting and allowing them to “trespass” on private land. Talk about a WEIRD way of saying thank you! Terrorised me! I enjoyed it…as always, your challenges are fantastic. Totally fantastic! I need to edit it because it is full of typos. Oh yes the cream pots…I have the same problem. Yoghurt pots too! I used to open them in the direction of my sister Mandy to deliberately splatter her with yoghurt. Sibling affection! No surprise so many people turn to therapy. Way past my bedtime Rory…Goodnight and thanks for another fun challenge! Need to know what this is?? Ewww…I’m with you on the dead cows. One time my son rescued a newborn calf that had stumbled into a creek down below our house. Unfortunately, her mother had died and was lying in the meadow. Not a pretty sight! Oooooh la la! I would not have been able to cope with that. I would have run a mile! Poor baby calf. It must have been distressed.